November is right around the corner and we are anticipating a great month of fights. On November 9, well rounded Ryan LaFlare out of Long Island MMA is fighting in the UFC. Ryan is not only one of the toughest guys in the sport but also one of the nicest. We will be cheering for him! 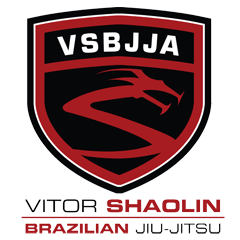 On November 15, VSBJJA student Sergio Da Silva will be making his Bellator debut. Sergio has been training for several years under Vitor Shaolin and Marcos Loro, and has been training MMA with Long Island MMA to prepare for this fight. He will be fighting at 135 on the preliminay card. On the same date, VSBJJA instructor Marcos Loro is making his return to New Jersey to fight in Bellator. Loro is coming off a TKO victory in Brazil, and we are very happy that he is fighting in New Jersey again so that we can come support him. The fights will be at Revel in Atlantic City. If you would like to support the fighters you can purchase tickets on ticketmaster or talk to the fighters personally. Go to the above link of the fightcard and press buy tickets.